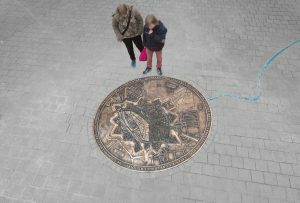 Portal invites you to discover how lives in different periods are linked. 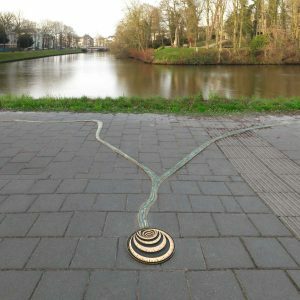 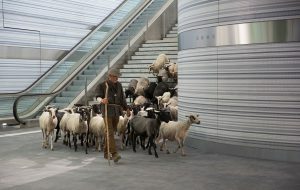 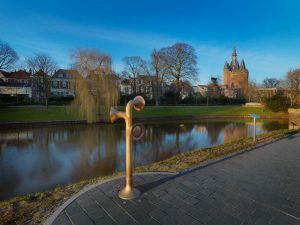 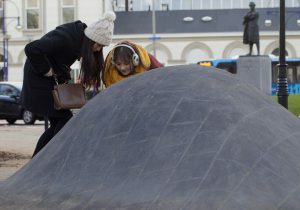 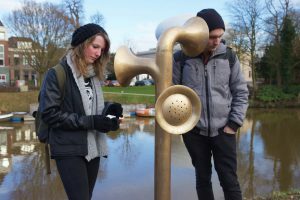 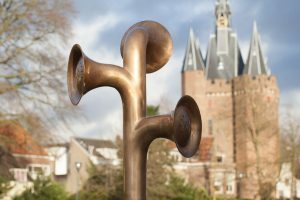 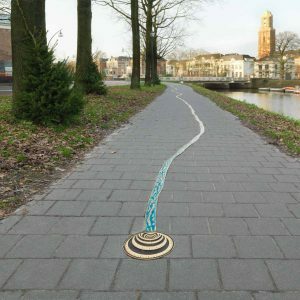 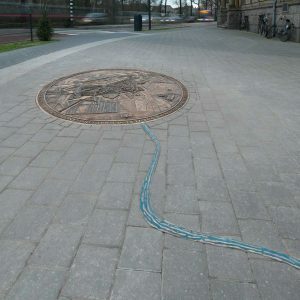 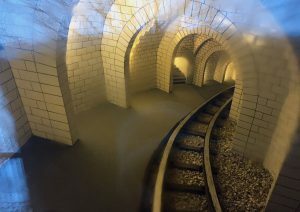 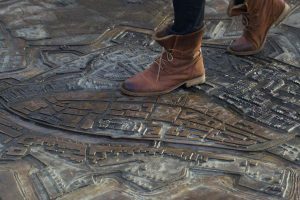 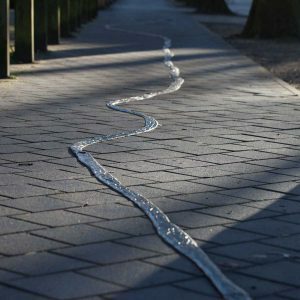 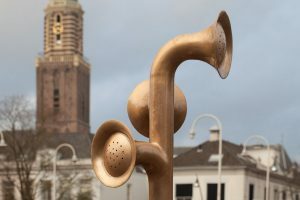 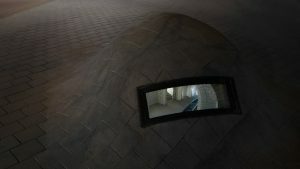 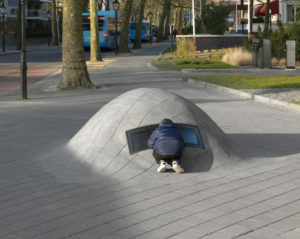 The installation consists of a panoramic video work at Zwolle Station, a series of sculptures on the way towards the city centre and a blue bronze line that connects all these fragments. 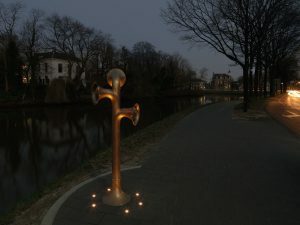 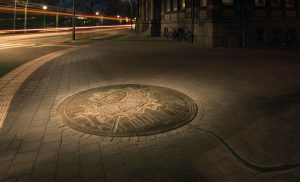 Commissioned by the municipality of Zwolle. 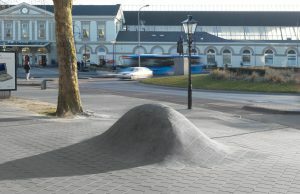 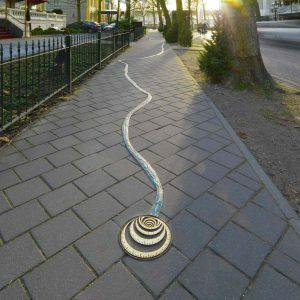 Landscape design by Jeroen Marseille and Yuka Yoshida.